Robert S. Kelley’s lynch mob of South Carolinians did not shoot Pardee Butler, as some had wished. Nor did they hang him, as more had hoped. Their kangaroo court pronounced upon him, for daring come back to his family after having once suffered mob violence, tar, feathers, and thirty-nine lashes of the whip. On further consideration, the court struck out the whipping. This left the minister with the painful ordeal of pine pitch poured over his bare torso. In lieu of feathers, which Atchison had run out of that day, they applied cotton. Then they set Butler on his buggy and saw him on his way, with a promise that if he returned to the town again they would hang him. The mob let Butler go at the outskirts of town, at which point he got his clothes about him as best he could and rode off into the cold April day. We might expect Butler to drop dead right there, as he had tar poured all over him. We imagine modern paving tar, which heats up to hundreds of degrees. Traditional tar and feathering used pine pitch, which could still give you burns but didn’t ordinarily get heated to the point that you may as well have lain down inside a stove. That doesn’t mean Butler felt no pain at all, but in the main you tarred and feathered someone for the humiliation value. His account doesn’t mention burns or blisters and the minister had no reason to soft pedal his ordeal. Instead he notes that he returned to his loved ones, children included, in that state. It was a sorrowful meeting after so long a parting, still we were very thankful that, under the favor of good Providence, it had fared no worse with us all. There are many Free-soilers in this country-brave men-who have no conscientious scruples to hinder them from arming themselves and preparing to repel force with force. The Border Ruffians sought by a system of terrorism so to intimidate the Free-soilers as to prevent them from organizing a Free-soil party, or even discussing the subject of freedom and slavery in Kansas. should put to the test of actual experiment whether an American citizen of blameless life could be permitted to enjoy the right of free speech […] such views being uttered without anything of angry, abusive, or insulting language. we know our rights and intend to have them. We left Pardee Butler having a bad day. He came back to Atchison, months after his previous near-murder, hoping to make a quick stop and get on to his claim and his family. The mob which had taken him proposed shooting and hanging, the ringleader had other plans. Robert S. Kelley, now on his second proslavery, anti-Butler mob, preferred to humiliate and torture Butler. He had taken the same route previously and Butler believed, reasonably enough, that Kelley preferred to keep his hands clean once things had proceeded to a proper fake trial instead of a spontaneous mobbing. Kelley’s name ran right under John Stringfellow’s on the Squatter Sovereign’s masthead, so attaching it to a murder might complicate the paper’s appeal to slavery’s friends outside the Kansas-Missouri border. Butler recalled that he wondered “how that sort of thing of thing would work as far north as the latitude of Kansas, which sounds like one of those incongruous thoughts one has in trying times. The mob consulted amongst themselves, whispering and exhibiting “dark, threatening, and ominous looks.” When their judge came out again, he declared that they would strike the whipping. That made it a less apt punishment for a man who earned Kelley’s wrath in part for refusal to endorse the whipping of another. Butler didn’t know what inspired the change, however welcome. He then had other things to think about, as the court remanded him to the unhappy South Carolinians. They stripped me naked to my waist, covered my body with tar, and for the want of feathers applied cotton. Having appointed a committee of seven to certainly hang me the next time I should come into Atchison, they tossed my clothes into my buggy, put me therein, accompanied me to the outskirts of the town, and set me naked out upon the prairie. It was a cold, bleak day. We left Pardee Butler, freshly returned to Atchison, in the hands of a mob led by Robert S. Kelley for the second time in less than a year. They hauled him into a saloon and one of the mob tried to convince the minister to try for a duel. Others wanted to hang him then and there. 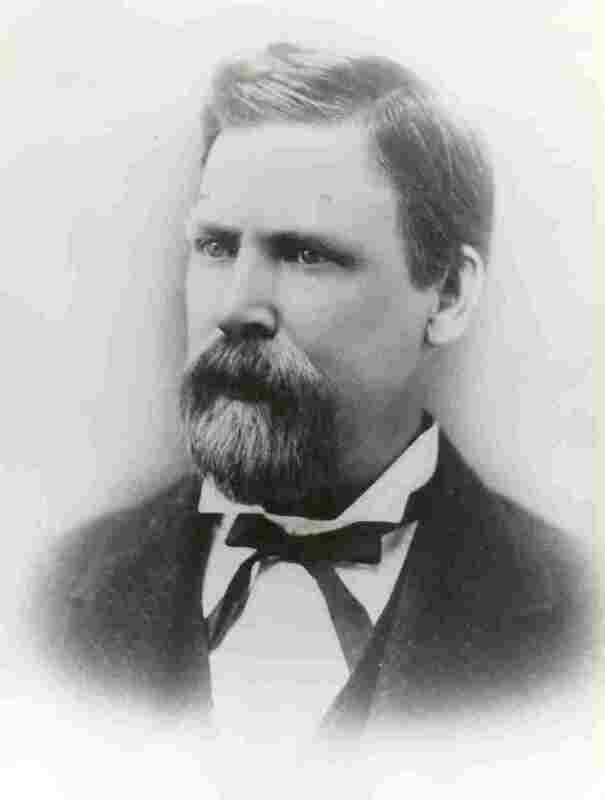 A Virginia-born Missourian slaveholder, Judge Tutt, stood up in Butler’s defense. 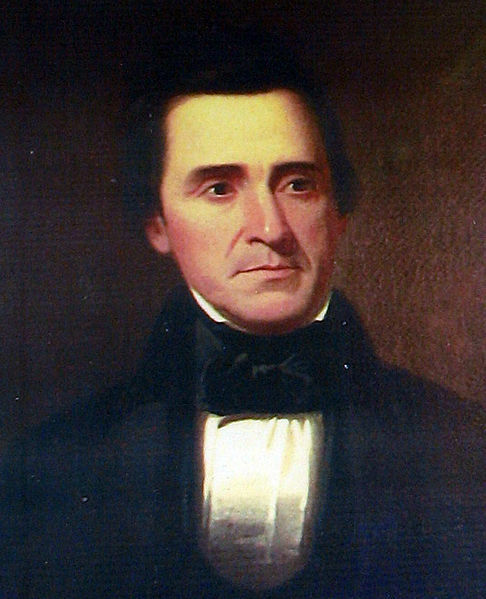 He argued that simply murdering an enemy would discredit the good name of proslavery. This moved enough hearts and minds to get Butler a trial, of sorts. The mob took him to another building and convened a kangaroo court. but I was jerked to my seat and so roughly handled that I was compelled to desist. Judge Tutt tried to step in once more, but Kelley would have none of his ruining the fun. He demanded to know if Tutt “belong[ed] to Kansas.” That must have seemed rich, coming from a longtime ally of border ruffians like Kelley. Tutt answered back that he did not hail from Kansas, but meant to settle in Atchison come the fall. By the ordinary proslavery standard for such things, this made Tutt into a perfectly good Kansan. Even if it did not, Tutt argued that Missouri and Kansas had “identical” interests in the case. Atchison natives Chester Lamb and Samuel Dickson, a lawyer and merchant respectively, took up the same line. Yet in the saloon he had said to the mob: “You shall do as you please.” He dared not take the responsibility of taking my life, but when these unfortunate men, whose one-idea-ism on the subject of slavery and Southern rights has become insanity-when these irresponsible South Carolinians, sent out to be bull dogs and blood hounds for Atchison and Stringfellow-when they could be used as tools to take my life, he was ready to do it. That sounds like the Robert S. Kelley who appears in Butler’s previous travail. Hindsight might have made the sequel especially apparent to Butler, but he can’t have known that he would end up in the same situation months later when he wrote the paper of his original ordeal. Nor does it strain the imagination to think of Kelley as the sort who wants people killed, but prefers others do the killing. No era has suffered any dearth of such people. 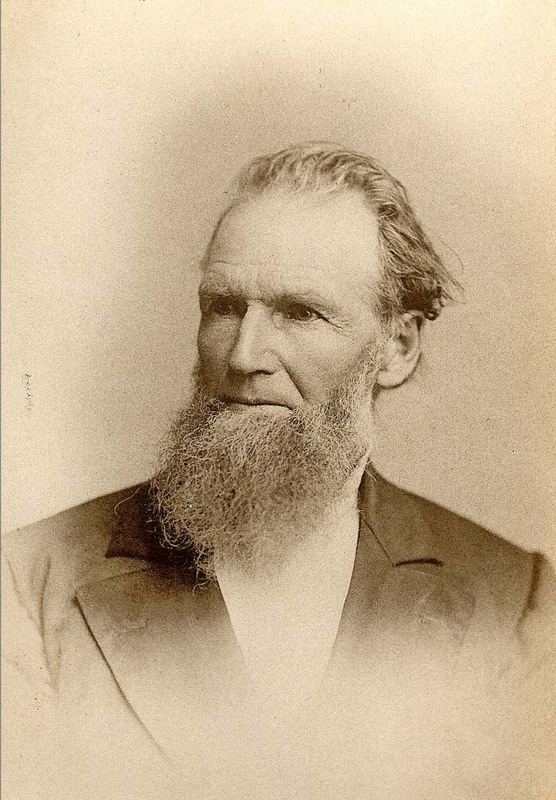 At the end of April, 1856, Pardee Butler returned to Kansas. He still had a claim and family in the territory and had promised on the occasion of his near-lynching that he would come back. 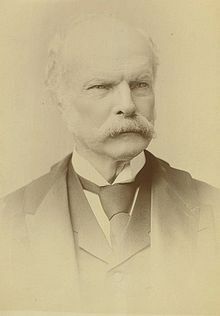 A brief visit in November had the minister pass through Atchison, the sight of his previous travail, with no difficulty. 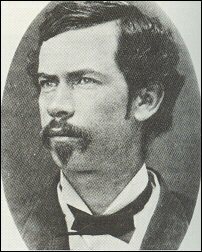 This time around, a contingent of newly-arrived South Carolinian militants led by Robert S. Kelley seized Butler almost on arrival. They hauled him out of his buggy and into a saloon, demanding his execution. For the second time in less than a year, Butler faced a proslavery mob in Atchison headed by Kelley. Sometimes you just can’t catch a break. In the saloon, a man quizzed Butler. He wanted to know if the minister had come to Atchison with a gun. Butler had not. but his companions dissuaded him from shooting me, saying they were going to hang me. That distinction mattered. Duels took place between equals, so to challenge Butler recognized him as a gentleman. To simply seize and hang the minister instead would show his inferiority as well as his mortality. You hanged criminals and, per the law, living while antislavery in Kansas did constitute something near to a crime all in itself. you will destroy the cause you are seeking to build up. You have taken this man, who was peaceably passing through your streets and along the public highway, and doing no person any harm. We profess to be ‘Law and Order’ men, and ought to be the last to commit violence. They dragged me into another building, and appointed a moderator, and got up a kind of lynch law trial. We have the election today, Gentle Readers. I hope you will cast your ballots, however you cast them, untroubled by any forceful echoes of the history we deal with here. Into the presently brewing Kansas strife returned Pardee Butler. He had followed the news out of Kansas since departing the territory in the fall of 1855, but come April he returned all the same. The minister had a money and time invested in a claim On that claim, Butler had built a house where his wife, their children, and her brother lived in his absence. Samuel Wood slept there the night after he escaped from Jones’ custody. What befell Pardee Butler next, we have from his Personal Recollections by a circuitous route. Butler wrote it all down in a letter to the Herald of Freedom, just as he had the story of his previous mistreatment. He presents it as the original letter, but Butler’s daughter finished the book and adds a note that the minister had not retained a copy of the letter he sent. Due to events we will soon come to, Butler didn’t get a full copy of that edition of the Herald, but rather “only a mutilated copy of it.” Another paper reprinted the letter in part and Butler reassembled the original from the two. Butler told the Herald that he had first come back to Kansas in November, where he visited Atchison in the full light of day, declared himself, and went about his business without trouble. Tempers seem to have cooled since his near-lynching in August. Despite the dire news, he seems to have thought he would have the same reception again. 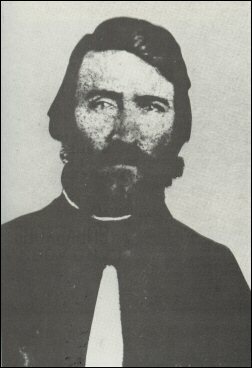 On April 30, he crossed the Missouri river and called at Atchison again. This time, Butler didn’t do much to draw notice to himself. He touched base with two businessmen who he had dealt with previously. 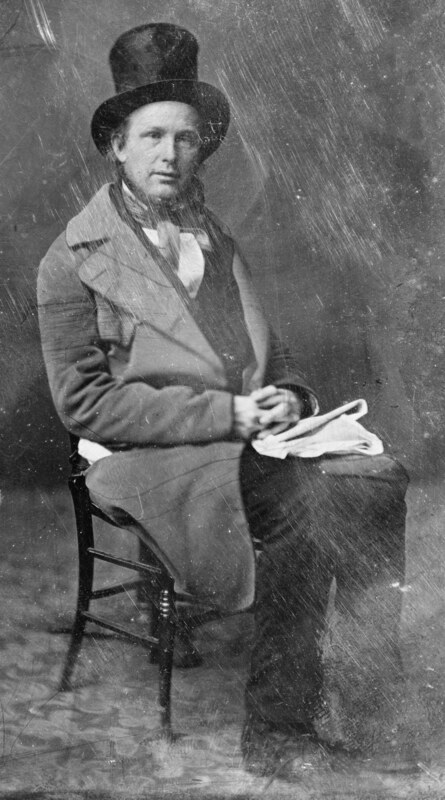 Having remained only a few moments, I went to my buggy to resume my journey, when I was assaulted by Robert S. Kelley, co-editor of the Squatter Sovereign, and others, was dragged into a saloon, and there surrounded by a company of South Carolinians, who are reported to have been sent out by a Southern Emigrant Aid Society. In this last mob I recognized only two that were citizens of Atchison or engaged in the former mob. The speed of Butler’s seizure suggests that Kelley had advance word of his arrival. He doesn’t say it in as many words, but he seems to intend us to understand the man who passed him on the road as carrying the news ahead. Butler stressed the novelty of most of his attackers. The Squatter Sovereign speaks of the same group in other contexts, so we have good reason to believe Butler didn’t change the facts to further dramatize the story or spare himself the enmity of anyone still in Atchison. He understood them as another species of border ruffian, not interested in claims or making new homes for themselves, eschewing legitimate business in favor of proslavery militancy. That also roughly matches the Sovereign’s description. According to the Squatter Sovereign, the news of Samuel Jones’ shooting by an antislavery man in Lawrence had set Atchison’s proslavery men to readying their arms. Some new arrivals from South Carolina formed a military company, one of two then extant. The paper itself, believing Jones dead, demanded bloody revenge. One of their own, a trusty, violent proslavery man had caught a bullet. They preferred to reserve that undertaking to their enemies. One might dismiss the violent language as so much bluster, but proslavery men had killed or threatened to kill before for less provocation. 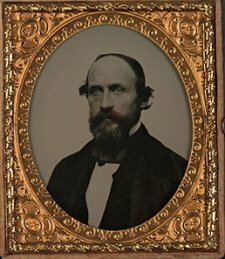 Slavery’s partisans in Kansas had even turned the murder of an antislavery man by one of their own into cause for an invasion that came close to ruining Lawrence. Closer to home, the same community had turned on Pardee Butler when he refused to endorse the whipping of an antislavery man. Robert S. Kelley, the junior editor of the Sovereign, led the mob that seized the minister, hauled him down to the Missouri River, and nearly killed him there. After a “trial” of two hours’ length, the mob put him into the Missouri on a raft with a flag declaring him an abolitionist. They didn’t kill him themselves, but anybody on the river might have seen the flag and tried their aim. Butler left an Atchison quite happy to see the back of him, but when he departed he promised that he would return to see to his claim. Understandably, Butler didn’t rush right back to Atchison. 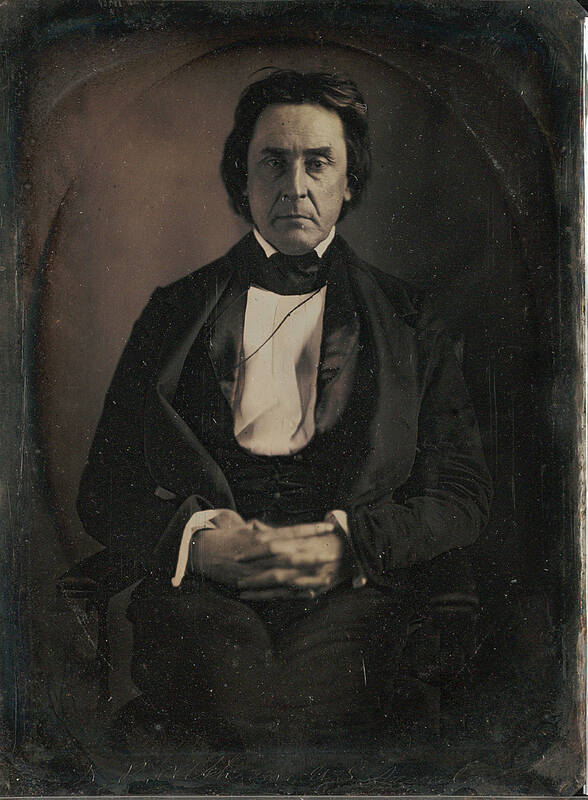 He spent the winter of 1855-6 in Illinois, following the news out of Kansas. This convinced him that he would best wait before trying to evangelize the territory again. But return he did, first for a brief visit in November and then again, arriving in Atchison on April 30. Butler’s return doesn’t receive a mention in Etcheson’s Bleeding Kansas, as more weighty matters transpire at the same time. I include it here, drawing from his Personal Recollections, because it clarifies a few issues and serves as a more material illustration of Atchison’s present state of discontent. The news of the coming of the South Carolinians had not reached Illinois when I started for Kansas, but when I had reached Western Missouri the country was alive with excitement. Maj. Jefferson Buford had arrived with 350 soldiers, and a part of them were quartered in Atchison. The records I have of Buford’s movements place their arrival slightly later. Butler did write thirty years after the fact and might have confused things, but with him and the contemporary paper both identifying an existing group of South Carolinians who came with military intentions, I feel less inclined to chalk it up to a mistake. Most likely, some of Buford’s men had gone on ahead. Maybe those in Atchison come from the first “deserters” who had expected Buford to provide for them until they could find and settle claims. Butler still had friends in Kansas. They told him to stay away, but the minister persisted in his course. His last night in Missouri, a fellow staying at the same hotel chatted Butler up. They didn’t bring up the slavery question, which Butler remarks that everyone else talked about. The next morning, they met again on the road to Atchison. The gentleman rode up beside Butler’s buggy and they talked some more, before he rode on ahead.